Home>News of Containers > Shipping giant is set to split up! Shipping giant is set to split up! Maersk, the shipping giant whom is headquartered in Copenhagen, is due to split up its energy operations in a strategy allowing more focus on its transport and logistics business, whilst also paying more attention to its energy projects in the North Sea. The company which employs 88’000 people globally, operates in a whopping 130 countries and has a turnover of £31 billion, has said it intends to reduce its global reach and will centre it’s energy focus on the North Sea, where a vast majority of their expertise are held. The company has said it will still continue work on its energy projects that have already been started but will begin simmering its investment levels. Maersk have a particularly formidable relationship with the UK and more specifically, Scotland, due to their accessibility to the North Sea. The company has 800 employees in Aberdeen and is a key participant in some of biggest off-shore projects in the UK. The company played a major role in the development of ‘Golden Eagle’ a world class and development off the coast of Scotland. 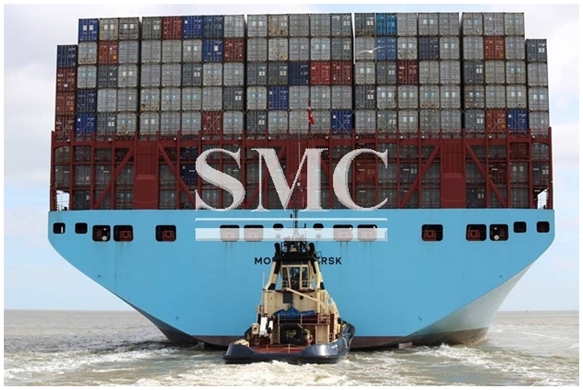 There is no doubt that the change of heart from Maersk will very much have come about due to the hard-hit shipping industry, which has seen shocking rates of reduction in container demand. Hanjin Shipping was the first major casualty to the current crisis in the shipping industry and you’d be foolish to bet they’ll be the last. Maersk's energy business faces problems which are at least as deep as shipping, due to the fall in the price of oil. The company's strategic review speaks of finding "solutions" including joint ventures, mergers or spinning off companies for separate listing. The vagueness of the plan makes it look like an intention to exit as much of that sector as possible and shipping is clearly the priority. Michael Pram Rasmussen, the chairman, said in a statement: "Separating our transport and logistics businesses and our oil and oil related businesses...will enable both to focus on their respective markets. Both face very different underlying fundamentals and competitive environments." The oil, drilling, offshore services and tanker divisions face moves towards joint ventures, sales and stock market floats over the next two years. Profits in that division have recently come in well below expectations.